Buenos Aires, March 20, 2019. Pampa Energía S.A. (‘Pampa’ or the ‘Company’; NYSE: PAM; ByMA: PAMP) informs that today was held the inauguration of Pampa Energía II Wind Farm (‘PEPE II’), its second wind farm operating in the area known as Corti, 20 km away from Bahía Blanca City in the Province of Buenos Aires, located nearby Engineer Mario Cebreiro Wind Farm (‘PEMC’). The PEPE II project will contribute to the national grid 53 MW of renewable energy and required an investment of approximately US$70 million. 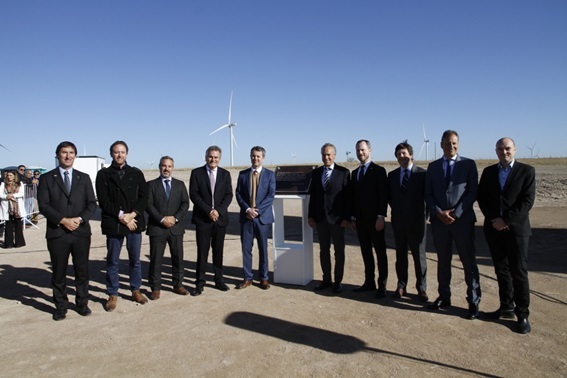 The opening counted on the presence of Crown Prince and heir to the throne Frederik of Denmark, the Mayor of Bahía Blanca, Héctor Gay, the Undersecretary of Renewable Energy, Sebastian Kind, among other national, provincial and local authorities and special guests. The PEPE II consists of 14 wind generators, each one made up of a tower with four sections, a nacelle and three spades driving the turbine, with a diameter of 136 meters. As the previous project PEMC, the installation of these wind generators required the construction of sophisticated works on the platforms and foundations, similar to the existing ones in different wind farms of this type around the world. Moreover, PEPE II was awarded under Resolution No. 281-E/2017 of the former Ministry of Energy and Mining, which regulates the Term Market for Renewable Energy Sources (‘MAT ER’). 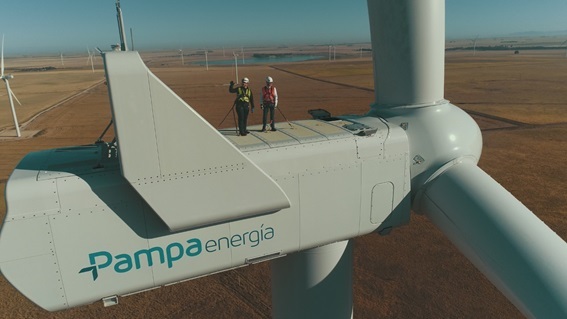 Therefore, PEPE II’s production, the same as Pampa Energía III Wind Farm (‘PEPE III’), the upcoming project placed in Coronel Rosales city, also with an installed capacity of 53 MW, will be destined to fulfill large electricity consumption users through private power purchase agreements. The 53 MW under construction of PEPE III, in addition to PEPE II and PEMC projects, add up as of today 206 MW of renewable sources developed by Pampa. Moreover, with this new operating addition Pampa has 13 power plants, 3.9 GW of current installed capacity, and once the 451 MW of the remaining committed expansion projects begin operations, the total capacity of Pampa will reach 4.4 GW.